Want to know what we're up to? Interested in helping out? Absolutely no gardening experience necessary. Former Dicken parent Michele Loewe and a small group of volunteers cleared approximately a 20'x20' square patch of grass on the Dicken Elementary School grounds and began planting seeds. As the seeds grew, so did the garden, evolving 5 years later into this spectacular natural classroom. 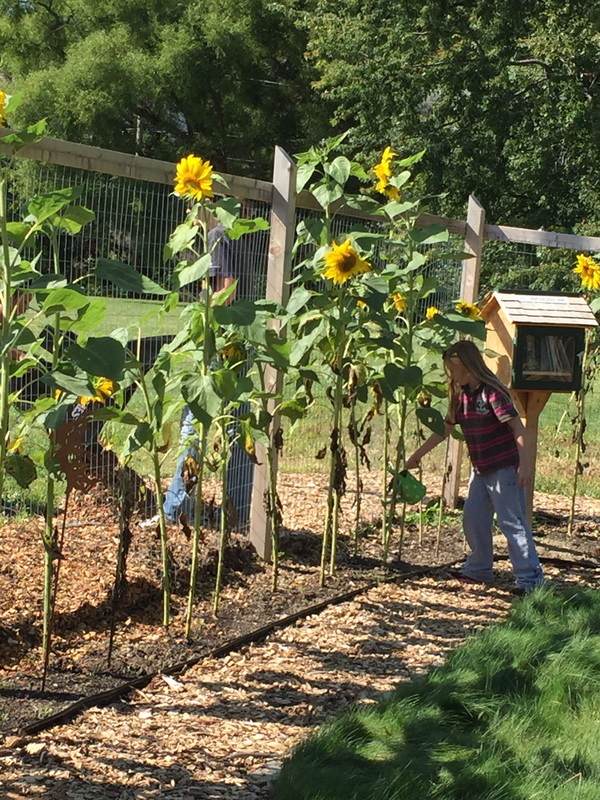 Dicken's school garden is currently under the tender loving care of Carolyn Herrmann and a small group of dedicated volunteers. We'd like to expand the group! Now, on a weekly basis throughout fall and spring, classes come and spend time in the garden working and learning. The past few years we've had 100% participation from classrooms visiting the garden. 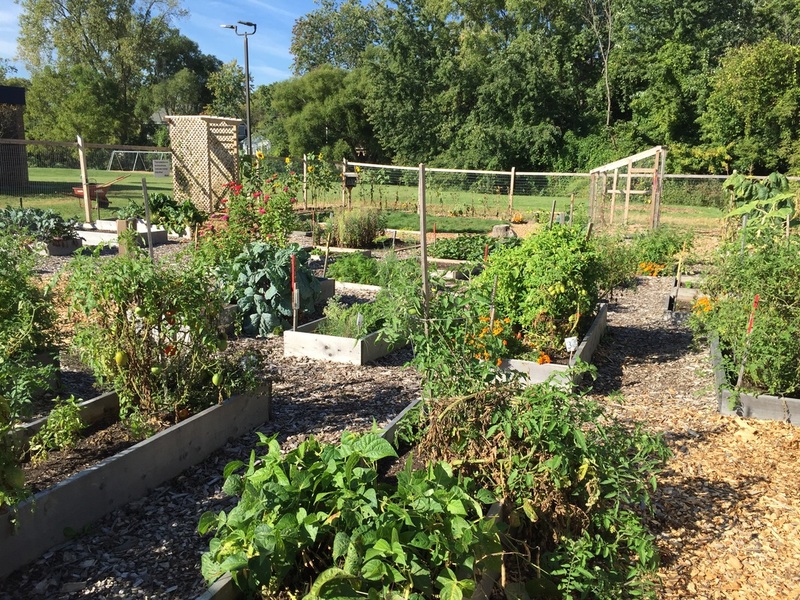 The garden also provides outdoor enrichment time for Recess Gardeners, School Age After Care, and Scout troops. In the summer months, Dicken families sign up to "adopt" the garden for a week- watering, weeding, and doing whatever the garden coordinator designates at that time. Families that help may also harvest summer produce that is ready. There are so many ways to be involved! The fall garden clean up day was a huge success. The weather was PERFECT! 2015. 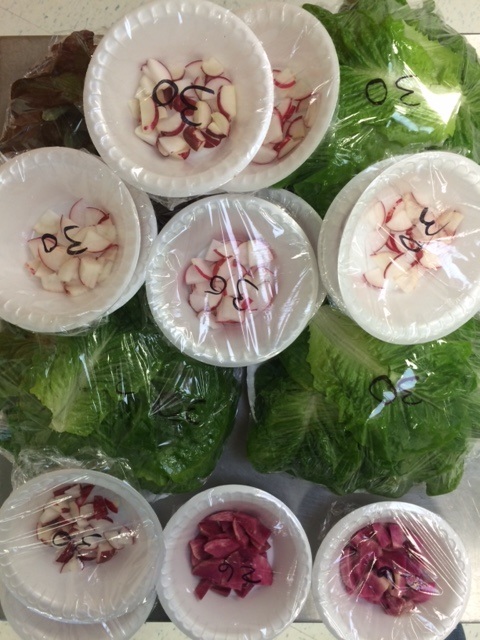 Lettuce, radish, & Watermelon radish prepped and ready to deliver to students in their classrooms. Fall 2015. 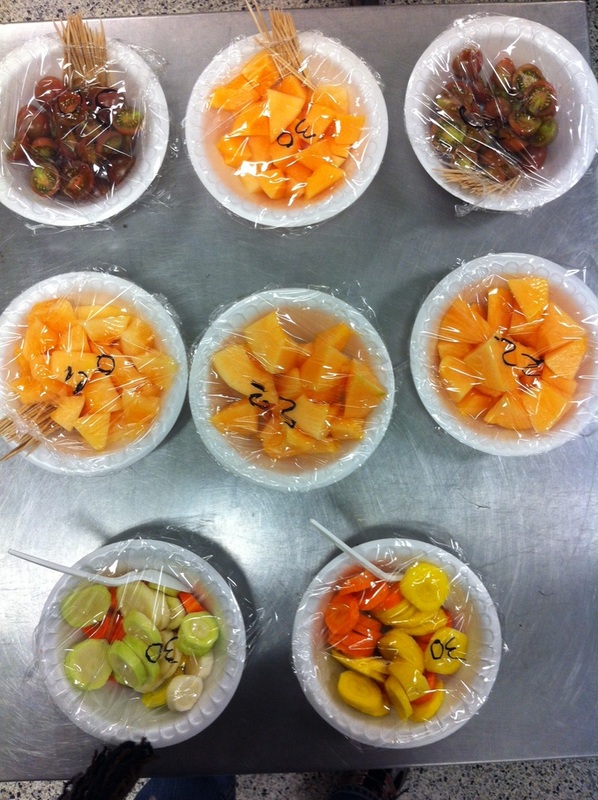 Students get to taste carrots, Emerald Gem melon, & tomatoes. Fall 2015. The fall garden is BEAUTIFUL! 2015. 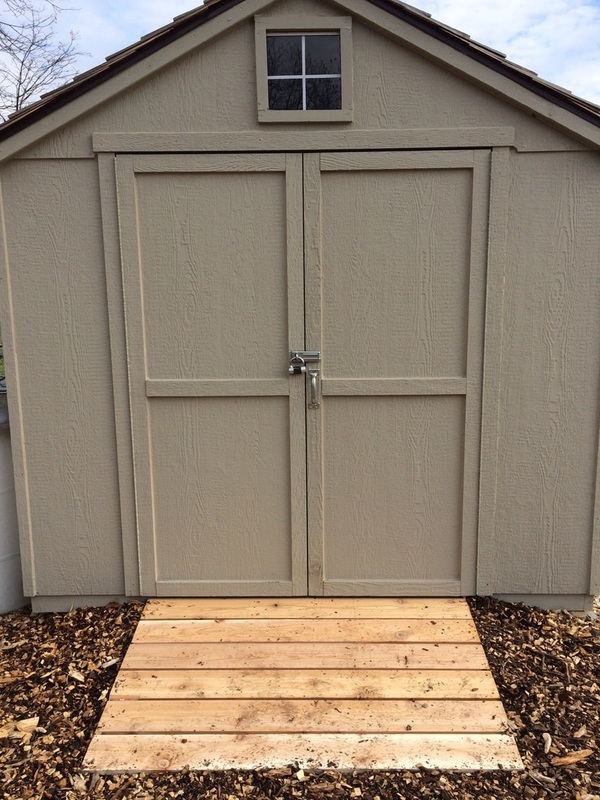 Thanks to Peter Arendall we have a new shed ramp! He built it with wood & supplies donated by Lowe's on Carpenter. 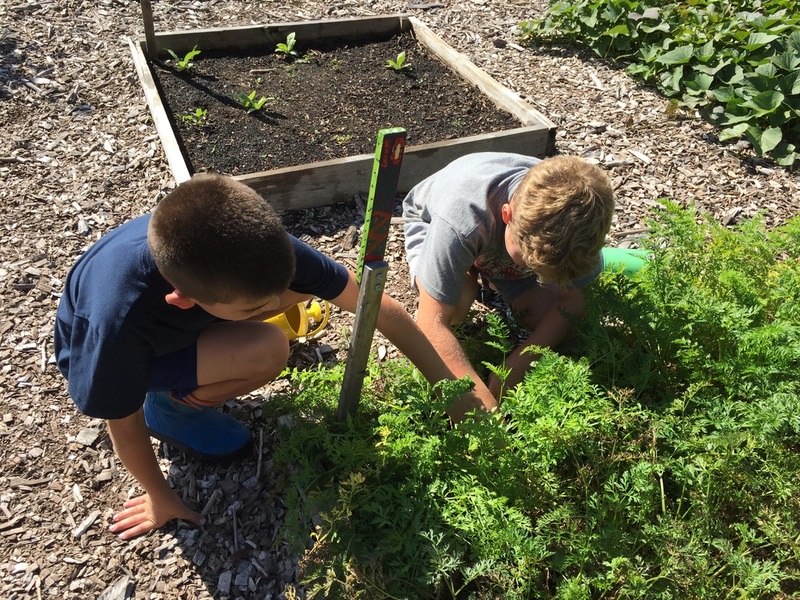 Dicken students harvest carrots - September 2015. Butterflies have a safe haven here. 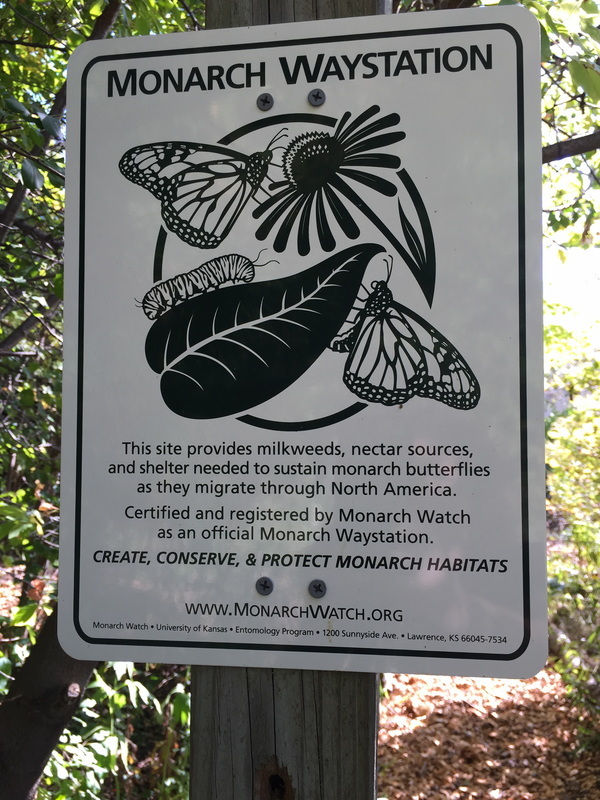 Our nature area is a National Wildlife Foundation Certified Wildlife Habitat. 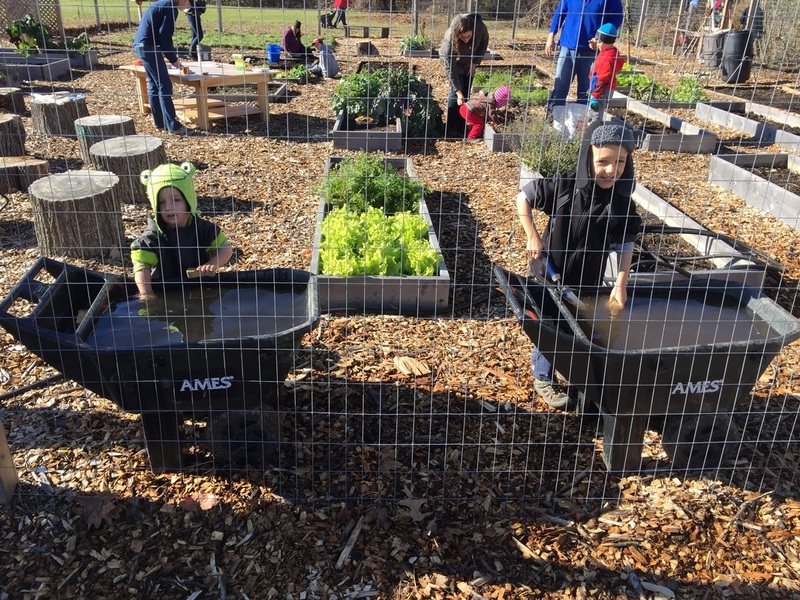 3rd graders use the nature area, woods & vegetable garden for their yearlong study of habitats in science. Watering is one of the many ways that Dicken students help care for the garden when they return to school.